This amazing apartment is the perfect college rental - walking distance to Viterbo University. The entire inside of this unit is newer - cabinets, flooring, woodwork and fixtures. All (4) bedrooms are spacious and feature extra large closets. All appliances are included: stove, microwave, refrigerator, washer and dryer. Off-street parking is available. Tenant is responsible for electric. No smoking and no pets allowed. A 2019-20 school year lease and a $1000 security deposit are required. This single-family home is only one block to Viterbo University. You can enjoy the convenience of off-street parking with this rental! As a bonus, this house has a large 3 season sunroom, washer & dryer hookups and a huge living room. Kitchen is equipped with a stove and refrigerator. No smoking and no pets allowed. Tenant is responsible for utilities, snow removal and lawn care. A 2019-20 school year lease and a $995 security deposit are required. 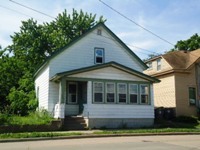 Excellent lower duplex in a great residential neighborhood. 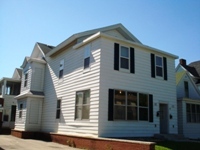 This unit features in-unit washer & dryer, a front porch and off-street parking. Kitchen appliances are included: stove and refrigerator. Tenant is responsible for utilities and shared snow removal responsibilities. No smoking and no pets allowed. A 2019-20 school year lease and a $950 security deposit are required. Spacious main level duplex in a convenient. 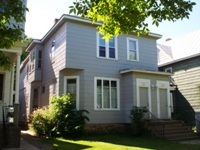 central location - only one block to Viterbo University. This unit features laundry hook-ups, a full basement, central air, off-street parking and a large yard. Kitchen is equipped with a stove and refrigerator. Tenant is responsible for utilities and snow removal. No smoking and no pets allowed. A 2019-20 school year lease and a $995 security deposit are required. Conveniently located main level unit! This well maintained unit features off-street parking, a front porch, an open concept layout, updated flooring throughout, new cabinets and countertops, spacious rooms and an in-unit washer & dryer. Kitchen appliances are included: stove, refrigerator, microwave and dishwasher. Tenant is responsible for utilities. No smoking and no pets allowed. A 2019-20 school year lease and a $1200 security deposit are required. Ideal location � walking distance to UW-L and WTC! This single-family house features a front screened porch, new paint, new carpet, spacious bedrooms and a bonus attic space. Kitchen appliances are included - stove and refrigerator. Tenant is responsible for utilities, lawn care and snow removal. A 2019-20 school year lease is required along with a $1200 security deposit. No pets and no smoking allowed. 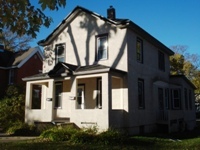 Centrally located upper duplex � between all three campuses and downtown. This unit features hardwood floors, a large eat in kitchen, coin-operated laundry facilities and off-street parking. Kitchen is equipped with a stove and refrigerator. Tenant is responsible for utilities, lawn care and snow removal. A 2019-20 school year lease is required along with a $1200 security deposit. No pets and no smoking allowed. 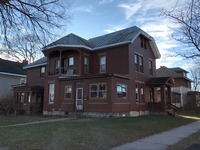 Excellent central location - right between the three college campuses and within walking distance to downtown. This spacious upper unit includes heat, onsite laundry facilities and a large porch. Kitchen is equipped with a stove and refrigerator. Tenant is responsible for utilities and snow removal. No smoking and no pets allowed. A 2019-20 school year lease and a $1320 security deposit are required. 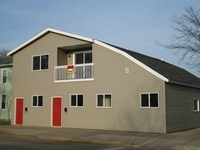 Only $325 per bedroom with heat included! This first floor duplex has (4) large bedrooms with generous sized closets. Unit includes a stove and refrigerator along with a washer and dryer. Very clean basement, large sun room and two off street parking spaces compliment this rental. Tenant is responsible for electric and snow removal. No smoking and no pets allowed. A 2019-20 school year lease and an $1200 security deposit are required.